Patients with high cholesterol have twice the risk of heart disease compared with those who have normal cholesterol. Since high cholesterol doesn’t cause symptoms, you won’t know whether you’re at risk unless you have an assessment by Walid Elkhalili, MD, and the team at Apex Medical Professionals. They’ve helped many patients stay healthy and well by preventing or managing high cholesterol. To schedule an appointment, call the office in Fair Lawn, New Jersey, or use the online booking tool. How does high cholesterol affect my health? The cholesterol that circulates in your bloodstream comes from two places: the foods you eat and your own body. Your body naturally produces about 75% of the cholesterol it needs to synthesize hormones, digest fat, and keep cells healthy. When blood levels of cholesterol are high, the excess cholesterol can attach to artery walls. Over time, more cholesterol accumulates, creating plaque that hardens and narrows the artery, a condition called atherosclerosis. As atherosclerosis blocks blood flow, you’re at risk for chest pain, a heart attack, stroke, and peripheral artery disease. How can I have good cholesterol and bad cholesterol? Before cholesterol enters your bloodstream, it’s turned into a lipoprotein. Lipoproteins are packages containing cholesterol wrapped in proteins. There are different types of lipoproteins, depending on the proportion of cholesterol to protein. High-density lipoproteins (HDL) have more protein than cholesterol. Their job is to collect excess cholesterol and get it out of your bloodstream. That’s why HDL is called good cholesterol. Low-density lipoproteins (LDL) contain more cholesterol and less protein. They stay in your bloodstream, carrying cholesterol to cells. LDL is called bad cholesterol because the cholesterol it carries gets stuck to artery walls. What symptoms will I develop if I have high cholesterol? As cholesterol builds up in your arteries, it doesn’t cause any symptoms until blood flow is blocked and you have chest pain, a heart attack or a stroke. If the blocked artery is in your leg (peripheral artery disease) you’ll experience pain or cramping in your buttocks, hips or legs when walking, or pain in your feet while at rest. Many cases of cholesterol can be treated with dietary and exercise changes. You can add foods to your diet that naturally lower LDL, while exercise helps to increase HDL. Losing weight also helps lower LDL and raise HDL. 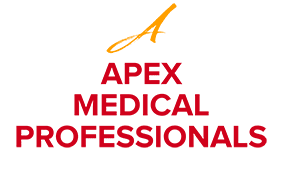 If you can’t get cholesterol levels down to a normal range with lifestyle changes, or if your cholesterol is dangerously high, the team at Apex Medical Professionals may prescribe medication to lower cholesterol. There are a variety of medications that take different approaches to deal with cholesterol. For example, some block cholesterol synthesis, and others help clear LDL from your bloodstream. To undergo an assessment to determine your cardiovascular risk, or for ongoing management of high cholesterol, call Apex Medical Professionals or book an appointment online.